Should I Reserve a Disney World Resort Package Deal or a Room-Only Deal? It’s often less expensive to just buy your room and tickets separately. We’ll discuss the ways you can get discounts inside Disney, and from outside companies as well. You can get discounted tickets outside of Disney for 3 days or more. You can not get discounted tickets for 1 or 2 days. … But be careful when buying discount tickets. There are a lot of people out there who are scamming. They’ll sell you what looks like a good ticket, but when you get to the park, you find out you’ve been scammed. 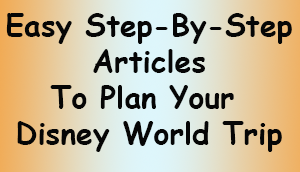 You can read about it here: Where NOT to buy your Disney World tickets (Avoiding Scammers). The discounts you’ll find that are legit tend to be on the small side, but it’s money in your pocket! Why not take advantage of it. Undercovertourist.com . Right now they’re showing ads that say you can save $40 on a Disney World 3-Day Park Hopper Ticket + Water Park Fun & More, and get an extra day. AAA (American Automobile Association). You must be a member. You may be able to get Magic Your Way tickets and annual passes. The tickets available for sale vary in different areas of the country. There may be some chapters where this is not available. CAA (Canadian Automobile Association). You must be a member. You may be able to get Magic Your Way tickets and annual passes. The tickets available for sale vary in different areas of the country. There may be some chapters where this is not available. Official Ticket Center. They are known to offer a good sized discount, comparatively. 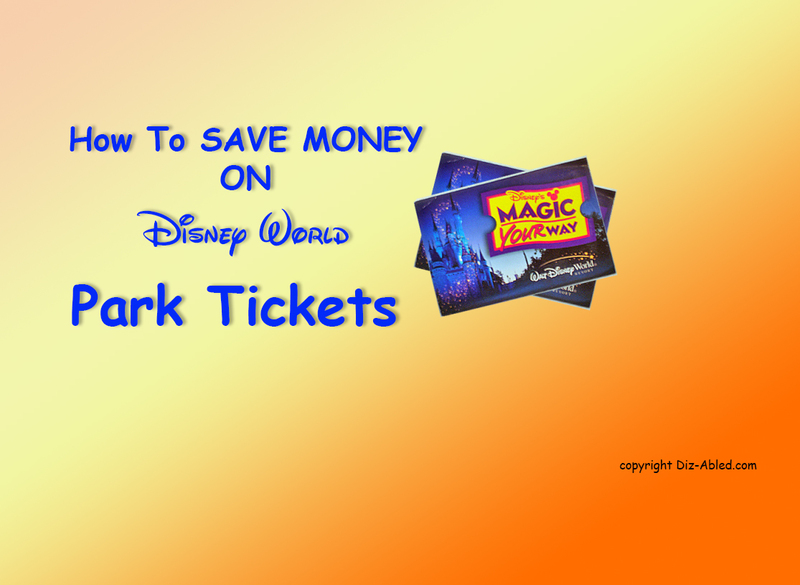 Can you get discounts on Disney World Tickets through Disney? 1. If you’re a Florida Resident. Check out Florida Resident discounts on Disney’s site here. You can also get 3-4 day passes and annual passes thru AAA. You must be able to prove that you’re a Florida resident for either method. – If you’re active or retired US Military personnel or DoD. This is only during certain dates (See Disney’s site for details here). Be careful if you’re thinking about buying tickets from a military member. You’ll need a valid military ID to use the tickets. – If you are associated with a large group that has obtained discount rates. If you’re part of a large company, membership group or government agency that has obtained discounts for their employees or members from Disney. Ticketsatwork.com is a company that will make these arrangements with Disney on behalf of companies who hire them. AAA is an example of a membership group that offers discounts to its members. – If your company is a sponsor of Disney, or has a business relationship with Disney. If you know your company is associated with Disney, it may be worth your while to check with your employer’s benefits or Human Resources department to see if they’ve arranged discounts for their employees. – If you’re with a YOUTH GROUP that qualifies for discounts. To qualify, groups must consist of 10 or more youths from the US, Canada or Puerto Rico. There may be other qualifications you’ll need to meet as well. Disney has various programs for kids to participate in. Start this process well in advance. See the website disneyyouth.com for details. Occasionally Disney opens up its Individual Enrollment Program which allows you to enroll with 1-9 youths. This is for homeschoolers, virtual students, community groups and vacationing guests, and you’ll participate in an educational program. You can see that here. 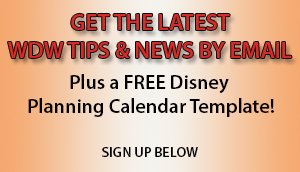 – If you’re a DVC member (Disney Vacation Club). Disney vacation Club offers discounts regularly on Annual Passes, but regular tickets are not usual discounted. Are there discounts for handicapped and disabled visitors? No, there are not. It’s our understanding that Disney feels that there’s enough to do in the parks to keep just about anyone entertained. Disney does not offer discounts on that basis. Are you aware of other Discounts? Please let us know! You can leave a comment at the bottom of the page.